Science has many benefits for the preschool-aged child. Science is not just for college chemistry courses or the high school student taking biology. Preschoolers, like their much older counterparts, are quite competent to understand scientific concepts and develop scientific thinking. As important as this topic may be to the advanced student, early science experiences are equally as vital to the young child's educational growth and development. Teaching a child science topics at a young age during preschool can help to build a lifelong interest in the subject. Additionally, early science experiences can set a child up for school success by fostering positive attitudes toward learning. The foundational science skills that a preschool teacher imparts to the young child can help that student to think critically, problem solve and better understand the world around her. 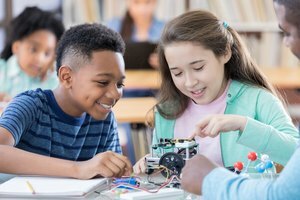 More specific concepts such as learning about animals, plants, weather and the physical world are also important components to the early science education that can benefit the child later in life. Reading books is not the only preschool activity that encourages language and literacy development. Any lesson or project that relies on the use of verbal and written language can benefit this important area of academic growth. 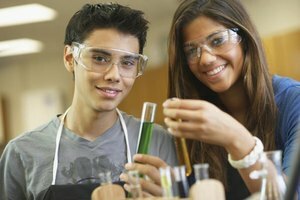 Group science experiments and projects invite discussion, which helps to increase positive language use. Making predictions, observations or coming up with conclusions provides young children with the opportunity to use critical thinking skills and verbalize what they mentally reason. In conjunction with class discussions, appropriate vocabulary use through science lessons also plays a pivotal role in increasing early literacy development. 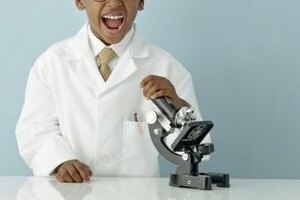 Teachers who use scientific vocabulary words such as microscope, life cycle, species or habitat help preschoolers to build new language skills to use in later schooling and beyond. Science doesn't have to stand alone. Other curricular or content areas can easily tie to scientific concepts and learning. From art to math and even social studies, science is a vital link in connecting the preschool curriculum. 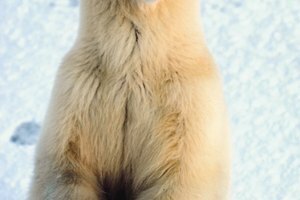 For example, preschool teachers can extend a science lesson on arctic animals to include creating polar bear puppets in art, reading arctic temperatures on a thermometer (i.e., mathematics number recognition) and learning about the culture of people who live in arctic regions of the world. Young children are naturally curious about the world around them. Teaching science to preschoolers can enhance this interest and help little ones to learn to explore their environment. Hands-on science activities, experiments and projects allow the preschooler to make discoveries about natural phenomena, the outdoors and other scientific concepts. By engaging the young child in science exploration activities the preschool teacher can help young children to focus on the discovery process and possibly even decrease unwanted behaviors. For example, inviting a disruptive or rambunctious preschooler to explore the science of color through a paint mixing experiment can redirect negative actions. Loop, Erica. "The Importance of Teaching Science to Preschoolers." Synonym, https://classroom.synonym.com/importance-teaching-science-preschoolers-10028481.html. Accessed 24 April 2019.